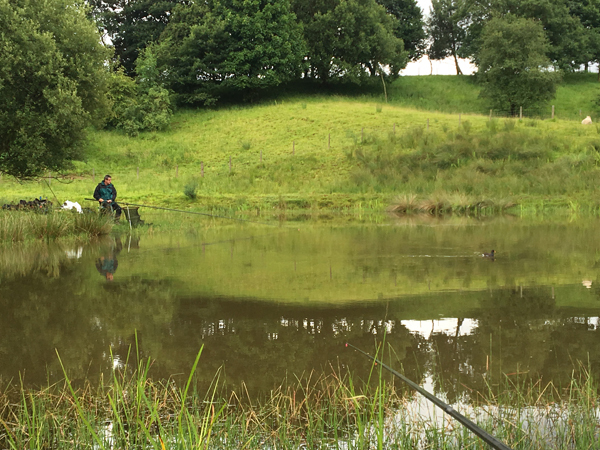 Top Lock Pools comprises two lakes are packed with Mirror and Common carp, the biggest being 10lb to date. The Carp have bred successfully so don’t be surpised to catch at least 50 of these beautiful fish in a day, all on corn or maggot. As you look at the front of the Top Lock pub, the entrance is approx 70 yards to the right but you will need a key for the gate which can be obtained form the membership secretary at a cost of £3.50 and is yours to keep. You go through the first metal gate in your vehicle, park, and then turn right and there is a 150yd walk through two more metal gates. Please ensure all gates are closed behing you with the first entrance gate locked.